This week we're sitting down with a true change maker who is making this her era. 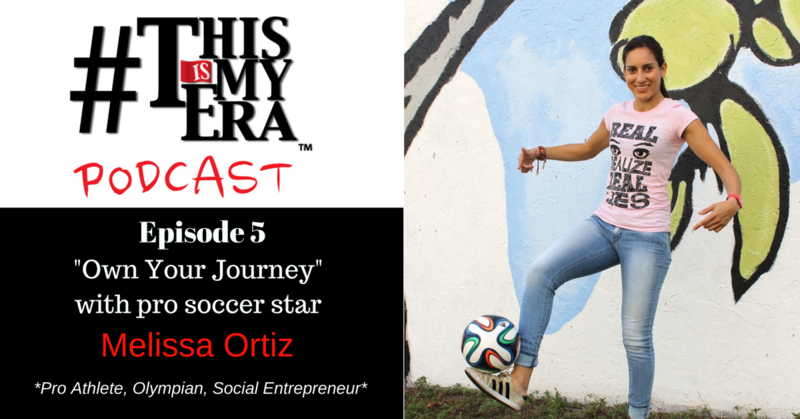 Melissa Ortiz is a world-class athlete and social entrepreneur. Throughout her career as a professional soccer player, she's broken boundaries, becoming the first Colombian to play on a professional soccer team in the US. She's played for the Colombian Women's National Football Team, as well as in professionally in Boston and Iceland. She's creating real world change by blazing trails for the next generation of female athletes and creating sustainable jobs for artisans in Colombia through her business, Vakano Bracelets. Perhaps most importantly, Melissa has developed a mindset of *owning her journey,* fully living in the moment and realizing that failure is part of the process. In this episode, Melissa will teach us why owning your journey is essential to making this your era. It's pretty incredible how much Melissa has managed to balance in her life: playing soccer at an elite level while also being dedicated to academics, and earning a BA and an MBA in only four years. Time management is key, of course, but Melissa says something that's usually not said out loud: *time management means making sacrifices. * For Melissa, that could be as simple as not going to the beach and studying instead, but sometimes that can mean making hard choices. In this episode, Melissa shares her time management tips, but doesn't shy away from real talk about what managing time *really* means. Melissa believes that everything happens for a reason, which makes a lot of sense when you listen to her story. Melissa, like everyone, has had her share of failures in life, but each time those failures led to something bigger and better. Sometimes, we have to fail at the thing we *think* we want in order for the path to clear for the real opportunity ahead. And if we give up in the face of failure, we'll never be ready to seize that opportunity. Listen to the full episode for real-life examples of how this has worked in Melissa's life. Owning your journey means embracing everything about how your life unfolds: embracing the process of going after your goals, the setbacks, and the hard choices you make along the way. Melissa makes a point of living in the moment, even when the moment means hard work and sacrifice because it's a gift to be able to passionately pursue your goals. Listen to the full episode to hear Melissa's story, which fully illustrates the power of owning your journey. [4:28] How sports have guided Melissa’s life. [6:20] How Melissa embraced her passion and how it shaped her life path. [11:10] The moment when Melissa discovered her core aspiration. [13:10] How to find balance as a student-athlete. [14:25] How to know that you made the right decision. [17:30] How failure can turn into opportunity. [21:58] How to balance excellence in two areas - Melissa's keys to time management. [26:25] Why you need to live in the moment, even if the moment is hard work. [29:55] Melissa’s biggest setbacks and how she overcame them. [34:22] How to regroup and recover after setbacks. [36:17] How Melissa is making this her era: giving of herself to inspire others. [38:40] How social entrepreneurship can change lives: Melissa’s company Vakano Bracelets. How can you better own your journey, be present in the moment? Are there tasks that you hate doing, but that are central to the process of going after your goal? Practice reframing your thinking about them. Instead of: "I have to get this done," think "I am lucky to have the time and skills to accomplish this task, which is central to achieving my goals." Shifting your thinking can boost your motivation and focus. Reflect on the sacrifices you're making, and why. As Melissa points out, time management means making sacrifices. Some of the sacrifices you might be making in pursuit of your goal haven't even crossed your mind, or feel like a natural shift in your priorities. Jot down some of the sacrifices, big and small, that you've made in pursuit of a larger goal, as well as the things you're not willing to sacrifice. This exercise will help you clarify your personal values, as well as help you make better decisions as to how you spend your time. Melissa's bracelet company, Vakano Bracelets. 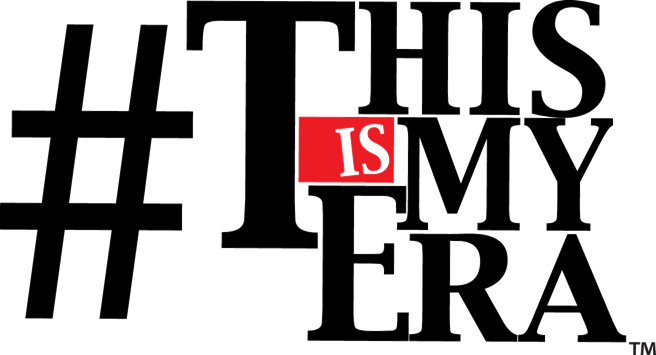 Use the promo code thisismyera for 15% off. "I'm giving the best of me and what I love to do, and by doing that I'm inspiring others to do the same."